Is there a better alternative to Violett? Is Violett really the best app in Adventure category? Will Violett work good on macOS 10.13.4? 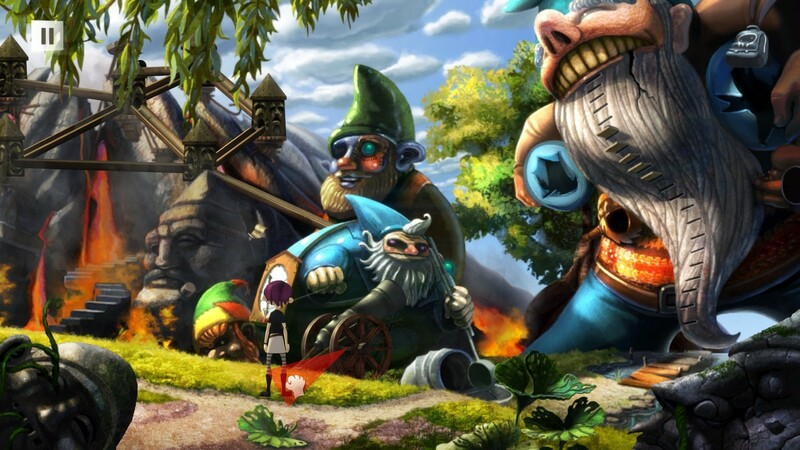 Violett is a point-and-click action adventure game. Note: The version reported by Finder is 4.3.1f1; this is a reflection of the Unity runtime. The developer claims this is 1.0. Violett needs a review. Be the first to review this app and get the discussion started! Violett needs a rating. Be the first to rate this app and get the discussion started! Dragged by her parents, a young and rebellious teenage girl, Violett, moves to an old spooky house in the middle of nowhere. Forced away from her friends and life in the city; she imagines how boring life in countryside will be: spending day after day, bored in her room with absolutely nothing to do. But what she cannot imagine, is that in just few moments, she'll have the adventure of her life. A spark of light from the nearby mouse hole catches her attention, she reaches inside and in a blink of an eye she's in a completely different place. So familiar, yet so distant. So magnificent, and yet dangerous. A place where frogs singing operas are daily occurrence, garden gnomes are emissaries from another dimension and power of telekinesis is not freaking anyone out. Now only your wit and luck can help her unite with her parents. Rack your brain on intricate puzzles that will allow you to move forward. Use the power of telekinesis to get you out of your troubles. Fight the evil spider queen that wants to make you her new trophy. Use your touch to roam the beautiful and psychedelic world, inspired by Alice in Wonderland, Dali and other great works. Immerse yourself in the soothing sound track.